Suction Harvesting is the most effective way of removing unwanted aquatic vegetation. 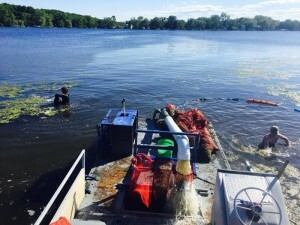 Our specialists use a process known as diver assisted suction harvesting, or DASH. In this process, our team uproots the targeted plants and their rooting system plus the years past decomposing plants and feeds them into a vacuum hose that brings them to the harvester, which stores it in special bags. The advantage of this process is the complete removal of the targeted plant as opposed to a mere “trim” of the weed plant. A variety of different filtration bags are available that allow us for the separation of water and debris. The weeds and all the solids flow into the filtration bag at rates up to 1200gpm, while the water passes back into the water. With our equipment, we achieve re-growth of the weed plants as little as 10% in the next season after only one application. With extremely persistent weed vegetation problems, continued use can lead to the complete eradication of unwanted plants. 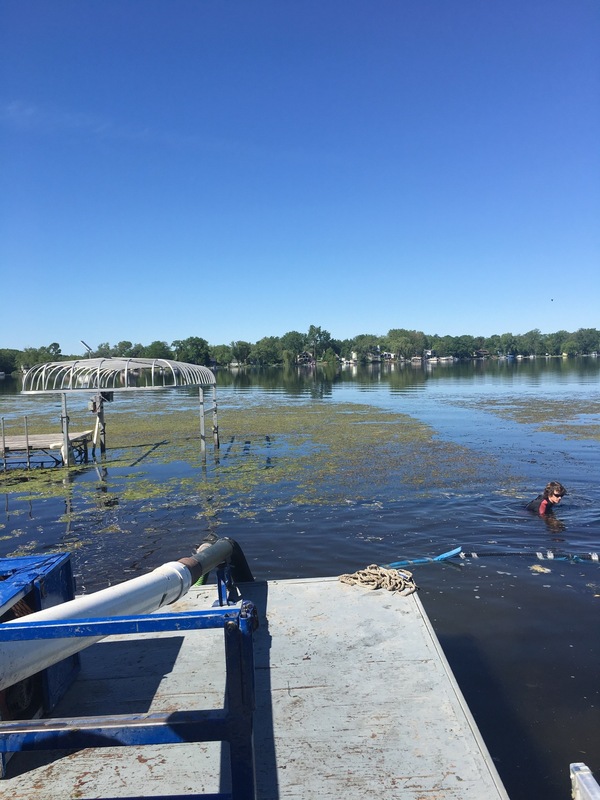 Our weed removal equipment is small, light and extremely maneuverable, making it well suited for smaller waterways and confined spaces like marinas or golf course ponds. It’s pump and hose system however can easily deal with large amounts of weed plants, making it equally suitable for larger areas that require weed removal. Our specialized equipment can even suction up a fish, which will pass through the hose system without ever going through a motor. It is returned into the water unharmed, so we are “fish friendly”. 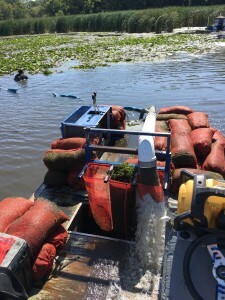 See how our weed suction equipment removes large amounts of water weed.